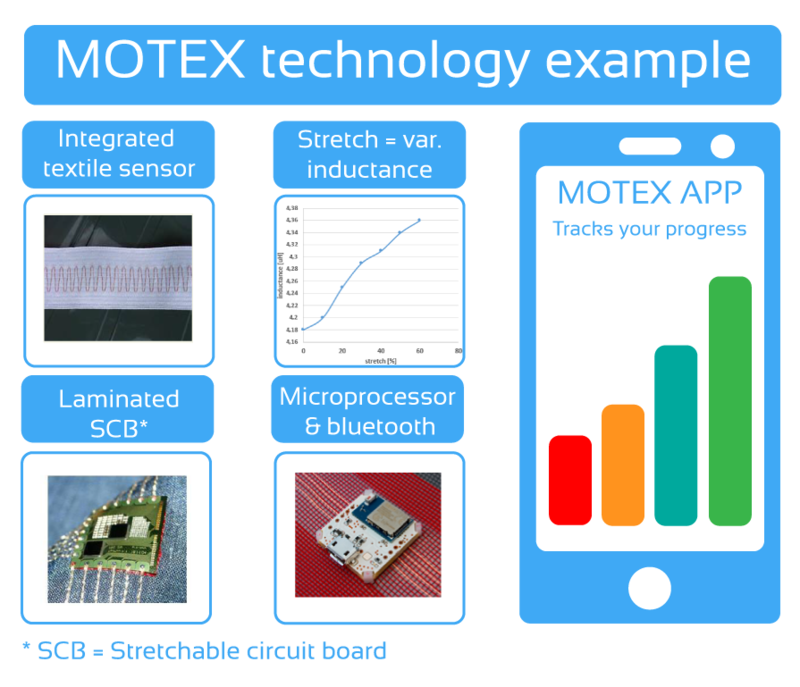 The Motex project has been carried out from September 1, 2014 till September 1, 2016. It focused on the development of a validated intelligent textile which is capable of measuring knee angles of users during physical activities, such as sports or rehabilitation exercises. The smart textile is equipped with integrated sensors and corresponding embedded electronics. These electronics are placed on a stretchable circuit board. They condition the sensor signal and transmit the data wirelessly to a smartphone app. The smartphone app is responsible for delivering direct feedback to the user about the quantity and performance of the exercises. It will also send the available information to a central cloud solution, which is accessible for coaches and medical experts. 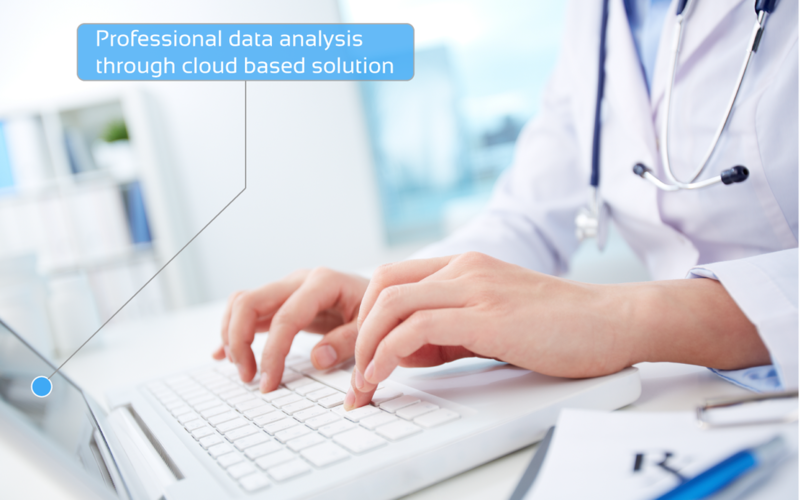 The coach or medical expert can analyse the data using a software platform that delivers a two way monitor and communication channel between the patient/user and his prescribing clinician/coach. 1. 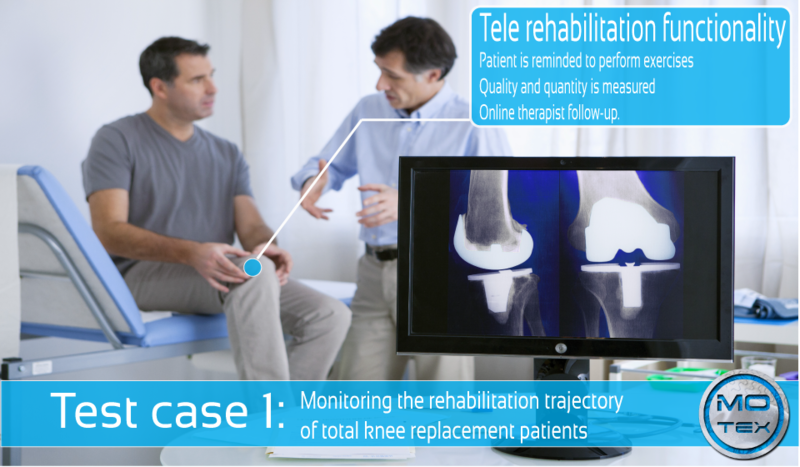 Monitoring the rehabilitation process of total knee replacements: In this test case, the rehabilitation process of a patient that received a total knee prosthesis will be monitored in the patient's home environment. The telerehabilitation platform reminds the user to do his exercises on a regular basis. Direct feedback about quantity and performance is presented to him by a smartphone app that guides the patient to a safer rehabilitation process, maximizing its output. The stored data is made available to the health professional through a web portal, where he can create, adjust and follow up practice schemes. This portal also provides a two way communication channel between patient and professional, to signal possible problems in the rehabilitation process in order to take adequate actions in time. 2. 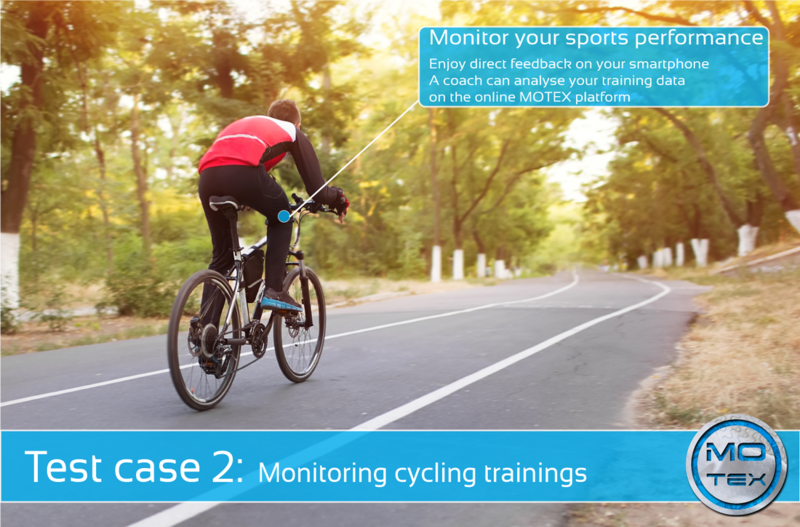 Monitoring Cycle training: This test case investigates the usage of smart textiles in the quantification of cycle training data parameters. Direct performance feedback will be delivered to the user by a dedicated smartphone app. This app will analyse the user's movements and notify him whenever a great change in pattern is detected that could possibly cause a higher risk of injury. A coach can access the data for analysis through a web portal, where he can create and edit practice schemes and provide feedback to the user.